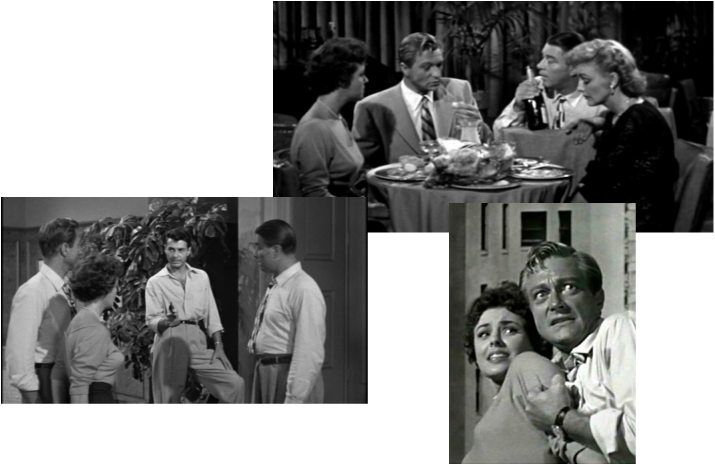 I’m telling you…the 50s were where it was at for the best threats to our planet. They just didn’t care how ridiculous an idea might sound…they went for it! And I love it. 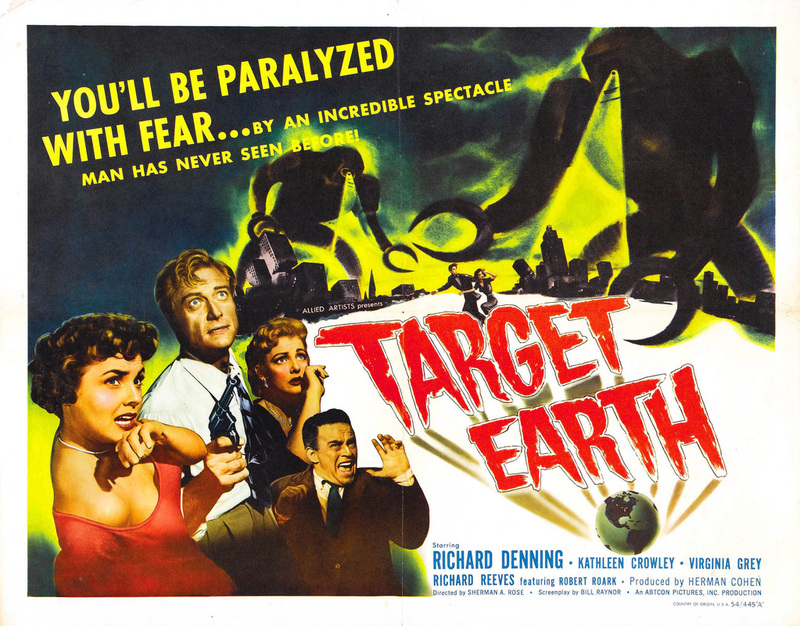 Take for example today’s movie: Target Earth. It’s not enough that it’s about Alien Robots from Venus attacking Chicago. This movie throws in a psychopathic killer and suicidal survivors and a couple who just want to hang out in a bar because it’s the end of the world. The fact that they talk about an army of alien robots didn’t seem to rattle the special effects guys seeing as how they only built one robot! Priceless. The best literary term to discuss with this film is the archetype DAMSEL IN DISTRESS. It’s one of the most common images from literature around. A beautiful, young woman is put in some predicament in which she is in need of rescuing. Along comes the knight in shining armor to her rescue. Nowadays it's a cliché, but it’s still there in our action movies, our horror movies, and even in our sci-fi flicks. It transcends genre. It’s always fun when a narrative comes along and tampers with the tried and true expectations of archetype. 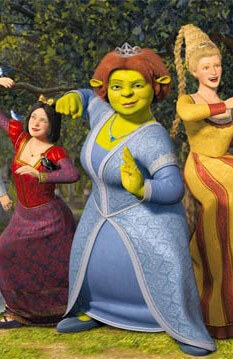 The best example of this kind of tampering lately has been Fiona from Shrek! In Target Earth, we’re given the perfect damsel in distress, Nora. At the beginning of the film she finds herself isolated and walks the empty streets growing more and more afraid because it appears she’s the last one left in the city. It’s kind of stupid in that she searches so hard to find people and then the first guy she sees frightens her and she runs from him, but he chases and eventually catches up with her and the rest is archetypical history, so to speak. A good example of this is about 40 minutes into the movie two guys and two girls are hold up in a building trying to avoid the giant killer robots (as we often find happens to us), and the guys actually argue over who will leave the womenfolk alone to go and search for candles and food. Our hero even says, “One of us ought to stay here with the girls” (such an impugning of manhood). Helpless females in dresses clutch their pearls as the menfolk argue like cavemen over who will provide fire and food! The wise women eventually tell them both to leave! Smart! The Damsel in Distress functions as the means for the hero to show his worthiness of the female’s attention. It reinforces the patriarchal notions of hierarchy. It also provides the grist for many ego mills! It’s good to see things are beginning to change in film and literature (read The Hunger Games); however, as an archetype…it is too ingrained to ever disappear. A look at this archetype and how things have changed.